carton cubic feet: 0.97 cu. ft.
Super Heavyweight Hangers is rated 5.0 out of 5 by 2. Rated 5 out of 5 by Keith from So far pretty solid I keep buying these 9 at a time from our local Rite Aid drugstore. That's all they get stocked with at a time. I've been working my way through and replacing all the lighter weight plastic hangers I originally acquired from I don't remember where. I got tired of the necks breaking off on the light weight hangers. I've also tried another brand or two of heavy weight plastic hangers which have also had their necks break off. I've pretty such the "secret" to the success of these hangers is that little reinforcing tab right at the base of the neck. 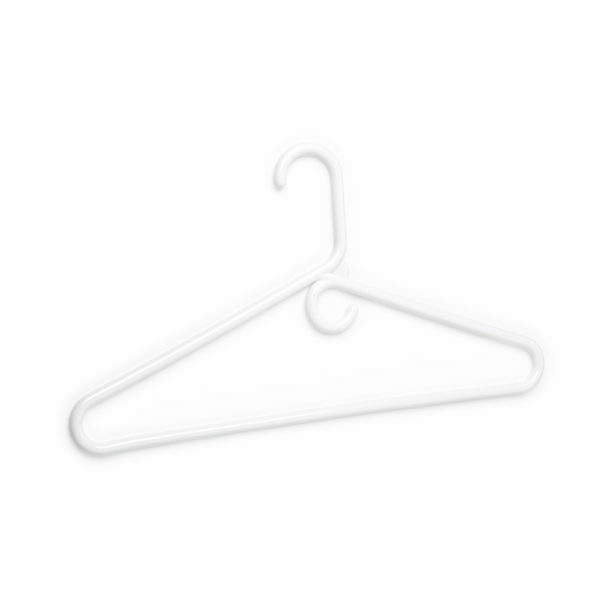 Rated 5 out of 5 by Sultan from Great product I have been using this hanger for years. It's easy to handle, durable, and soft on clothes.